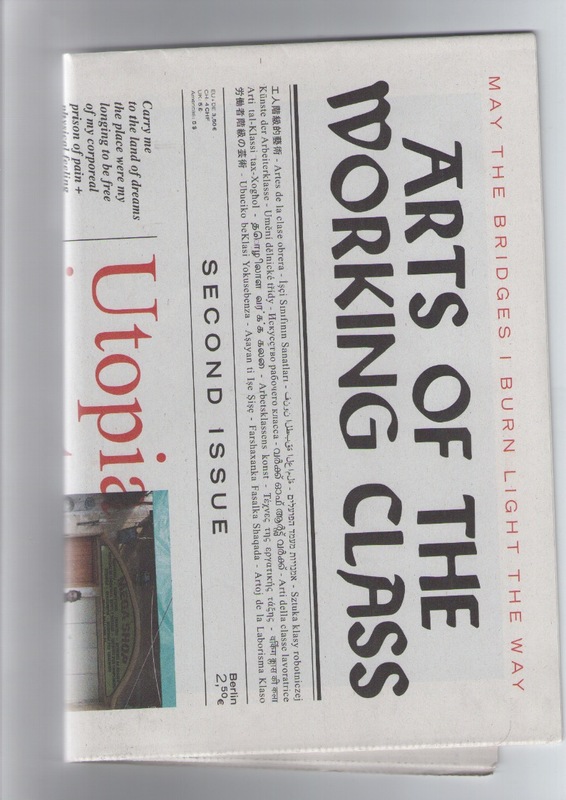 Arts of the Working Class is a street journal for poverty, wealth and art. It is published every two months and contains contributions by artists and thinkers from different fields and in different languages. Its terms are based upon the working class, meaning everyone, and it reports everything that belongs to everyone. Everyone who sells this street journal earns money directly. Every artist whose work is advertised, designs with us its substance. The second issue of this street newspaper attempts to glimpse what social cohesion can be; seen through contemporary art practices coming together in different texts and interventions by our contributors. Dialectical cohesion presents itself in the archives of arts in the 21st century as an accumulation of reactionary movements. The impressionists against academism, surrealists against social standards, post-modernism against modernism, content-based interpretation against formalist interpolation.